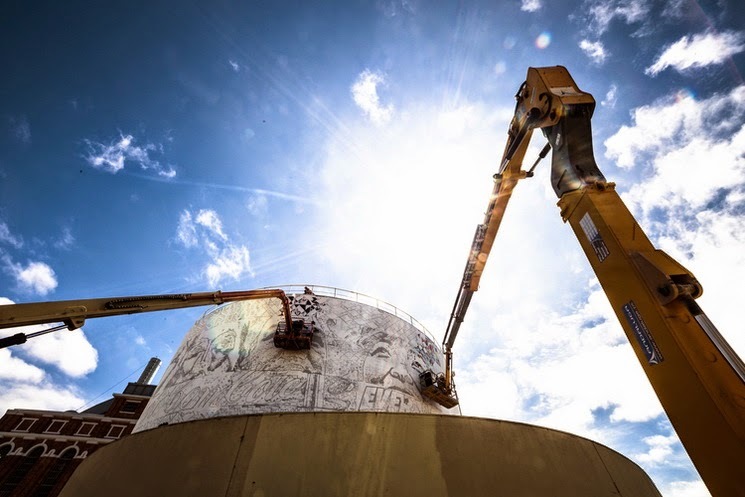 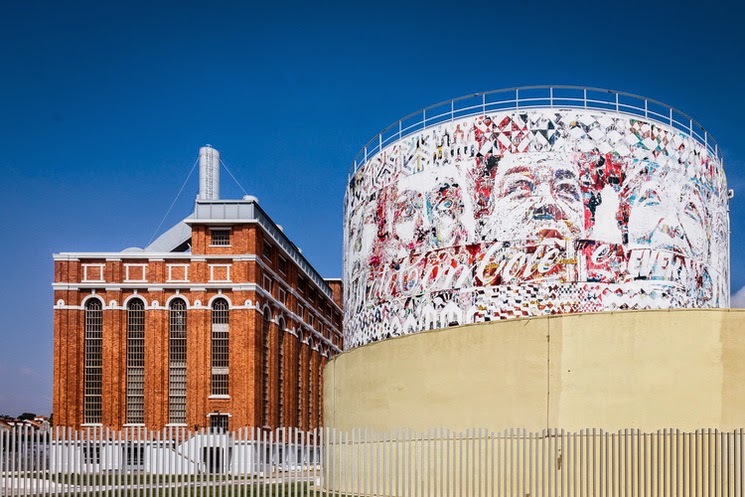 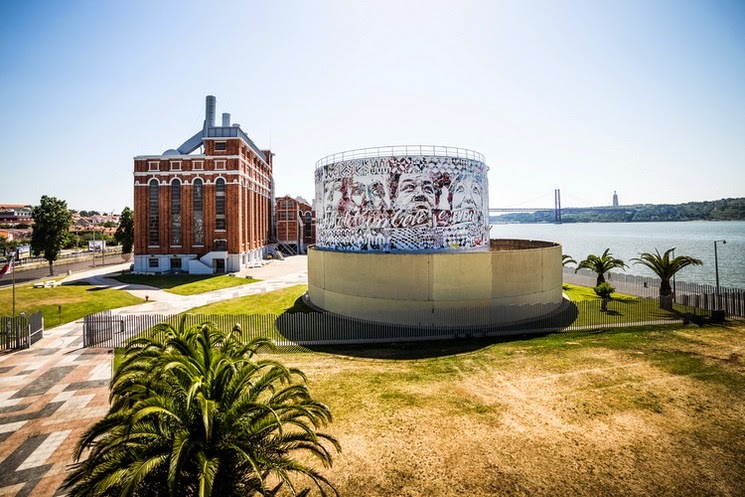 After months of working on his massive museum show Dissection, opening on the 4th of July in Lisbon, Vhils literally rounded up the preparations with this exceptional mural right outside of the museum. 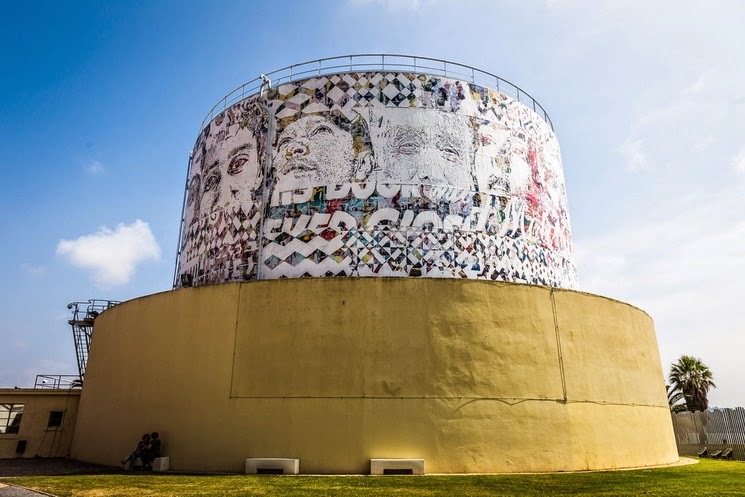 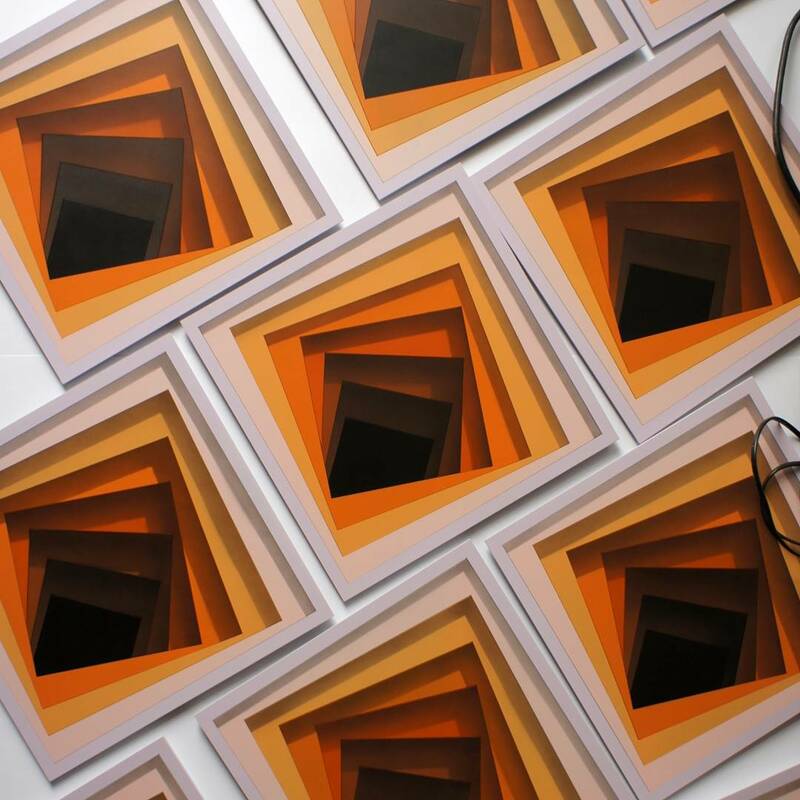 After working hard on elaborate installation for the show which will dissect elements and symbols of urban life, and creating murals through the city, Panorama mural is a symbolic round up of all those efforts and his artistic work to date. 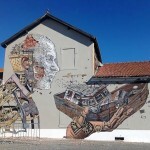 This 360 degrees piece is artist’s nod to the places around the world where he created his street works previously. 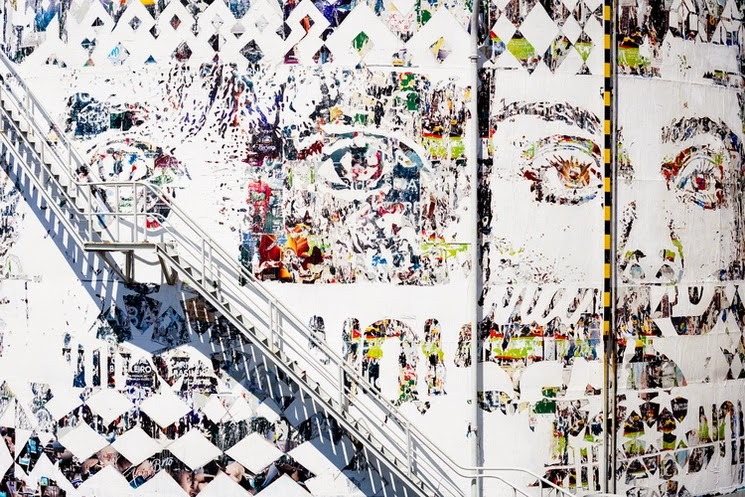 With portraits, text and patterns each originating from a certain area or town where he worked, this mural is commenting on the fact that the world we’re living in becoming uniformed, which artists could experience first hand while traveling around the globe. 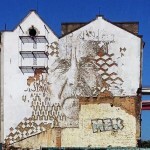 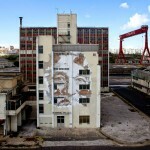 Check out more photos of this complex mural after the jump and stay tuned for more info from Vhils’ museum show.